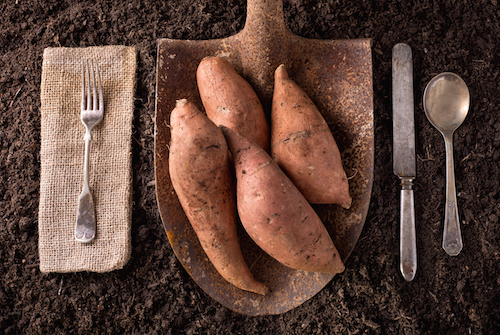 Do sweet potatoes top your healthiest foods list? They top mine... because they're delicious, easy-to-prepare and VERY forgiving in every recipe I've tried them in... give them the opportunity and they'll make you a believer! If you think of sweet potatoes and yams as one in the same, think again. While they may look similar and are both high in Vitamin C and fibre,1 2 yams and sweet potatoes are from different plant families and are quite diverse when more closely inspected. Generally, you'll find sweet potatoes at the farmers’ market (or grocery store) with smooth, thin, orange to reddish-purple skin and sweet, orange flesh... often incorrectly labelled as yams. 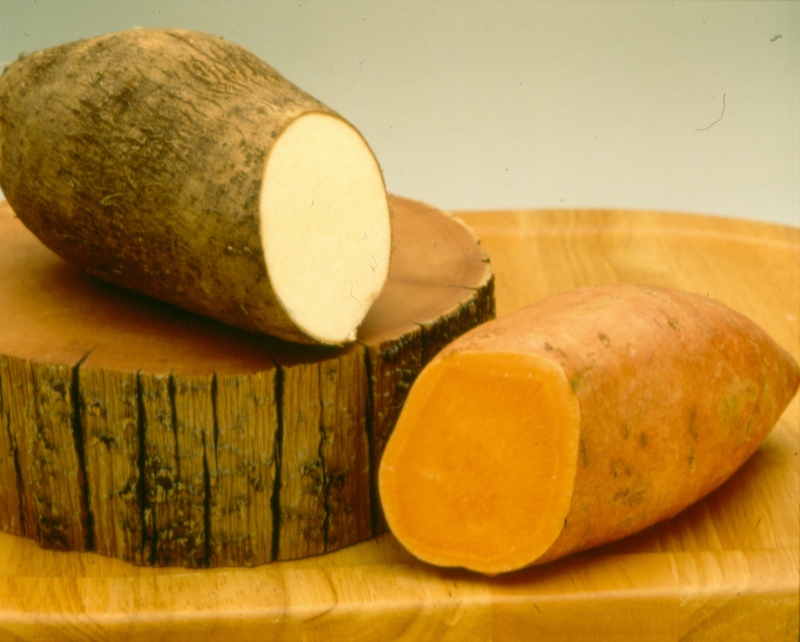 Yams do not have the beta-carotene found in a sweet potato’s orange flesh, though they are a rich source of potassium. A genuine yam has thicker skin that varies from yellow, brown, purple or black and is more like tree bark with starchy white to yellow flesh that can turn pink to purple when ripe. 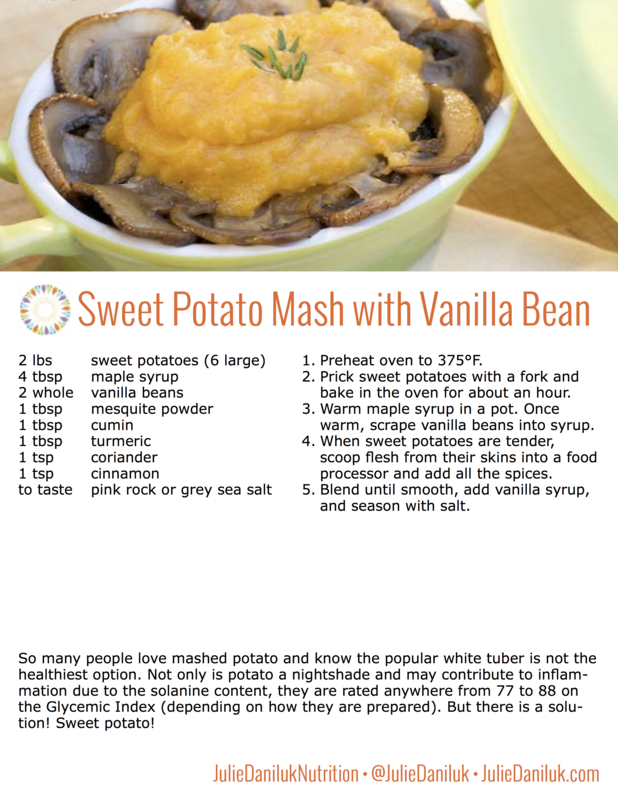 Additionally, yams are not sweet; they're more like traditional baking potatoes. 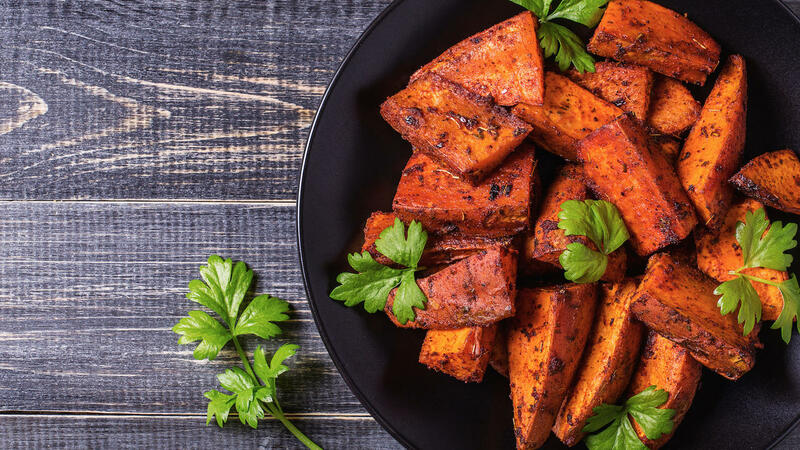 While you probably won’t come upon a yam too often – yams are common in Africa and Asia – the great health benefits of our delicious sweet potatoes are easy to enjoy. 1. Sweet Potatoes are a great source of Vitamin A. 2. 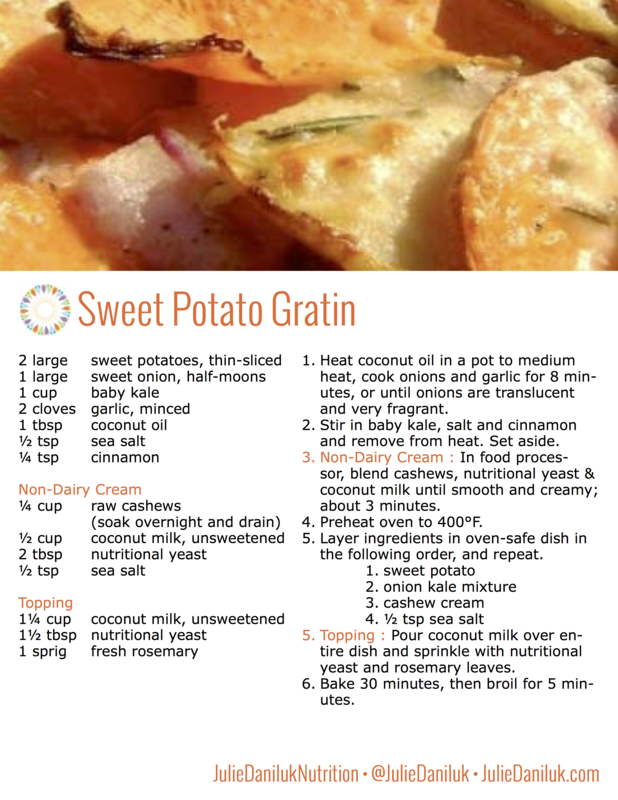 Sweet Potatoes are a great source of Vitamin C.
3. Sweet Potatoes are a good source for your daily dose of manganese. 4. Sweet Potatoes are packed with Vitamin B6. 5. Sweet Potatoes have DOUBLE the fibre of a regular old spud. It turns out, 4g of fibre per serving holds the starches in suspension so they do not spike your blood sugar, the way mashed potatoes would.8 The trick is to keep the skin on, which is where most of the fibre resides. Are you ready to add a new Craving-Busting Comfort Food to your Live-It? Balch P. Prescription for Nutritional Healing. London; UK. Penguin Group. 2006. USDA. 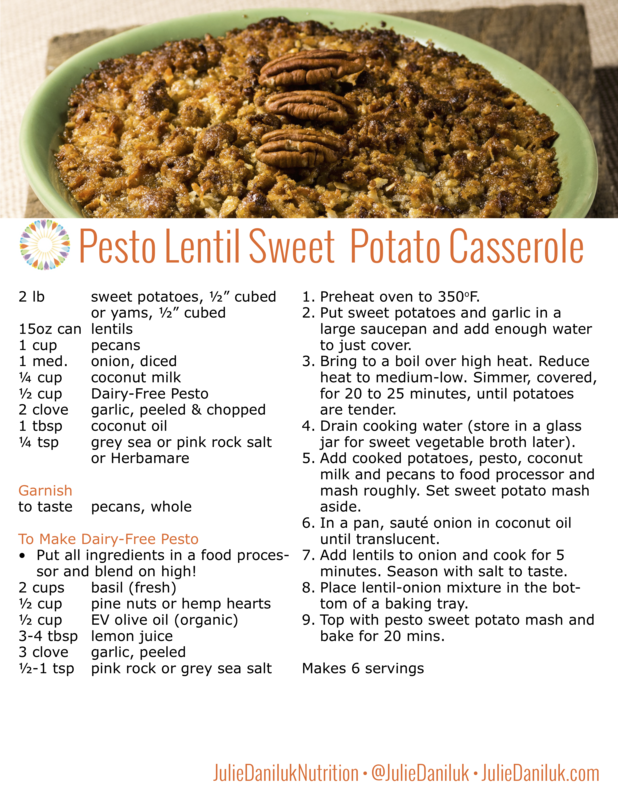 “Sweet potatoe, cooked, baked in skin, without salt.” National Nutrient Database for Standard Reference Release 28. 2016. Hemila H., Chalker E. “Vitamin C for preventing and treating the common cold.” Cochrane Database Syst Rev. 2013; 31(1). Telang PS. “Vitamin C in dermatology.” Indian Dermatol Online J. 2013; 4(2): 143-146. Aschner M., Dorman DC. “Manganese: pharmacokinetics and molecular mechanisms of brain uptake.” Toxicol Rev. 2006; 25(3): 147-154. Waskiewicz A. et al. “Dietary intake of vitamins B6, B12, and folate in relation to homocysteine serum concentration in the adult Polish population – WOBASZ Project.” Kardiol Pol. 2010; 68(3); 275-282. Weickert MO., Pfeiffer AF. “Metabolic effects of dietary fiber consumption and prevention of diabetes.” J Nutr. 2008; 138(3): 439-442.